Manufacturer & Supplier of Epoxy Paint for Home. Our product range also comprises of Polyurethane Paint, Rust Preventative and Retardant Paint. 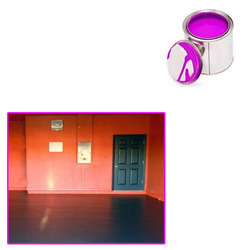 Our respectable customers can avail from us an astonishing assortment of Epoxy Paint for Home. Our quality controllers' check this paints on various defined parameters in order to assure it quality at customers end. The offered epoxy paint is packed with high precision to ensure its purity for a longer period. 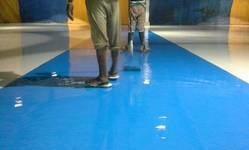 We are renowned entity in the domain, engaged in offering superior grade Epoxy Floor CoatingServices. Our given floor coating service is available in customized solutions to our customers. We execute our service after taking all details from the customers so that we can provide maximum satisfaction to them. This coating service ensures the quality of floor & makes them acid alkali resistant. Looking for Epoxy Paint for Home ?